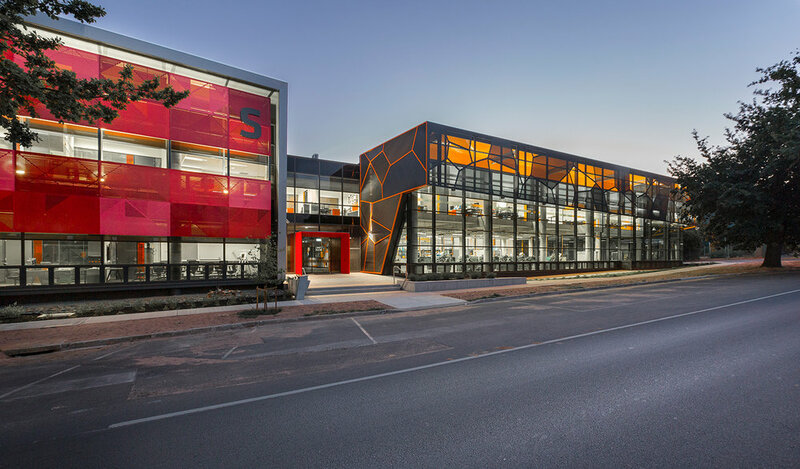 This is a trade skill centre constructed by Federation University in Ballarat that overtly expresses its alliance to metal trades, showcasing the learning and achievement of students on the corner site alongside the Building Trade Training Facility (also by McIldowie Partners). The training includes the latest technology and robotics and creates pathways for students at secondary school and tertiary training. We have boldly used colour and pattern as a part of the refined metal fabrication of screens, curtain walls and entry portals.